Laura Nogués would appear to have it all: she is a successful architect, a member of a family of leading perfume makers in Barcelona going back generations, and happily married to a renowned neurologist. However, in spite of all this, she isn’t happy and will abandon her promising career; putting everything at risk, to pursue her dream: ‘Jasmines’ is an extremely special resort in Grasse, the home of aromas, where perfume dominates every walk of life. But tragedy wrecks Laura’s plans: a mysterious person is trying to ruin her career and her marriage, and a terrible accident will leave her with smell as her only working sense. In spite of everything, her cherished aromas will help her to relive the experiences of her life and to stay in touch with reality: because smell transmits the very essence of our being. And Laura will finally find happiness. This is the first novel about perfume by a Spanish author. 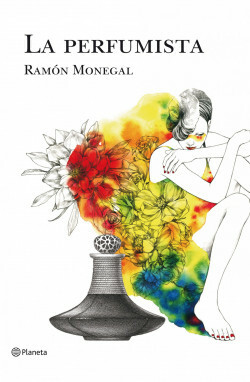 Ramón Monegal is a member of one of the most important perfume families in the country: the Myrurgias. A moving, original text with a unique power. A master class in the world of perfume.